There have been plenty of conspiracy theories floating around in this election, but most of them tend to be floated by Donald Trump supporters who are struggling to understand why the candidate is no longer surging in the polls. 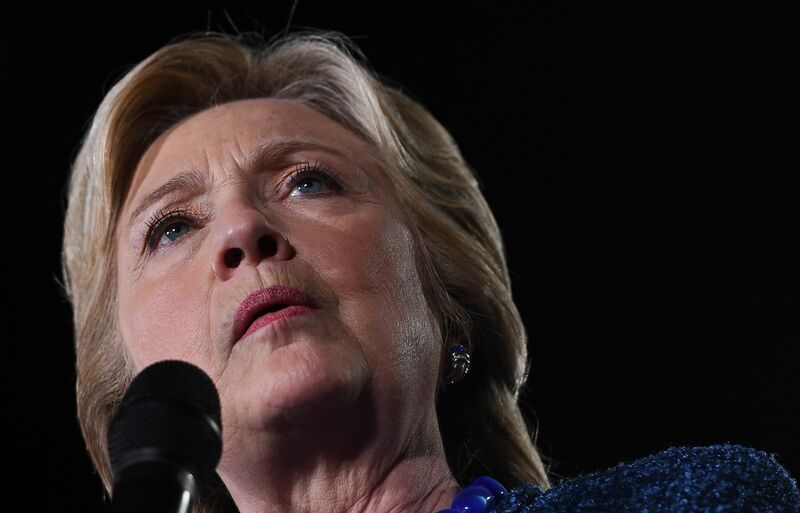 But since the FBI decided to investigate a new batch of Hillary Clinton's emails this week, Clinton supporters — or, at the very least, people who are opposed to Trump — have their own suspicions. An anti-Trump group filed a complaint with the U.S. Department of Justice, alleging that FBI director James Comey is interfering in the presidential election by announcing the case so close to Election Day. The whole debacle started on Oct. 28 when the FBI disclosed that there were emails that the agency had not previously discovered and that existed on a device belonging to Anthony Weiner. Yeah, that guy. Apparently, the FBI was investigating illicit text and online messages that Weiner allegedly sent to a 15-year-old girl in North Carolina when they found the new batch of Clinton emails. (Weiner is the estranged husband of one of Clinton's top aides, Huma Abedin.) Weiner has neither confirmed nor denied the allegations. Whether Comey is in some plot to take down Clinton or not, the way that he's handled the announcement and the swift reactions that have followed are shaky at best. In his letter to lawmakers about the need for more investigation, Comey was extremely vague. He wrote that the new emails, discovered on a laptop jointly used by Abedin and Weiner, "appear to be pertinent," and that the agency would "determine whether they contain classified information, as well as to assess their importance to our investigation." Possible political conspiracy aside, that is certainly opaque language that has allowed for a lot of theories and negative press to run wild. So even if it isn't a full-on plot against Clinton, it does seem like a potentially damaging headline that could be nothing at all.